Steven Krein is a successful long time entrepreneur. 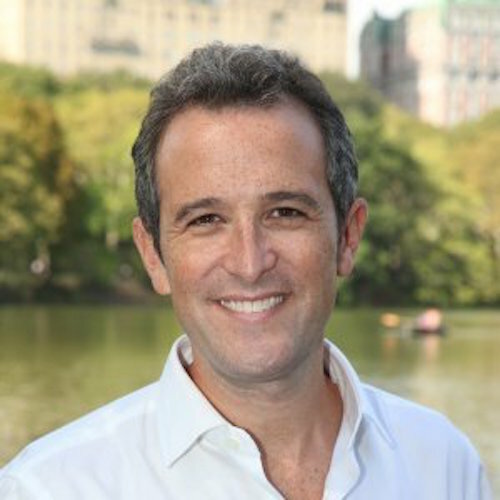 He is cofounder of Startup Health, which provides inspiration, education and resources for entrepreneurs to build sustainable health and wellness companies and which aims to close the gap between entrepreneurs, private investors, corporations, universities, foundations and other stakeholders committed to accelerating meaningful health and wellness innovation. He is also co-founder, Chairman and CEO of OrganizedWisdom, and previously cofounded and was Chairman and CEO of Promotions.com, Inc., a global online advertising, direct marketing and technology company which was founded as Webstakes, Inc. in 1996, went public on Nasdaq in 1999 and was acquired by iVillage, Inc in 2002. Promotions.com was named to Deloitte & Touche’s prestigious 2002 “Technology Fast 50”, ranking it as one of the fastest growing technology companies in New York City. He was Assistant Publisher of Law Journal Extra!, the first online legal news and information web site, which was acquired by American Lawyer Media and is now Law.com. Krein is a frequent speaker on digital health and wellness entrepreneurship and has been featured on NBC’s The Today Show, CNN, the Fox New Channel, CNBC Power Lunch, CNBC Marketwatch and Bloomberg News. He has also been known to show up at the New York Tech Meetup, from time to time.